Story by REDintern Fang Yiyang. 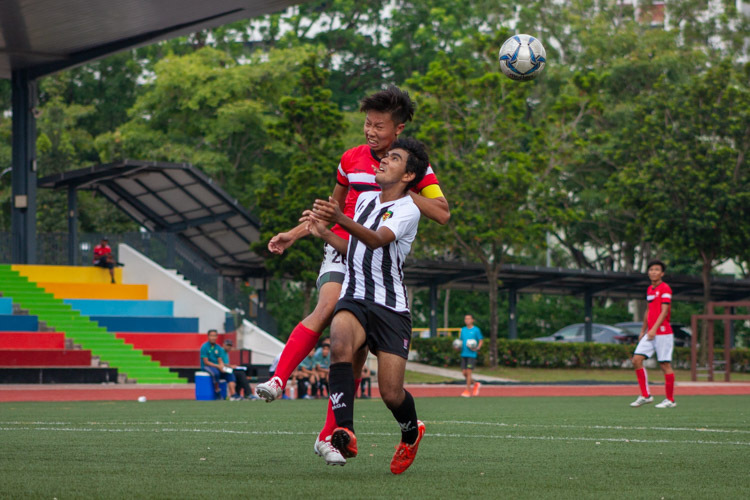 Photos by Iman Hashim/Red Sports. 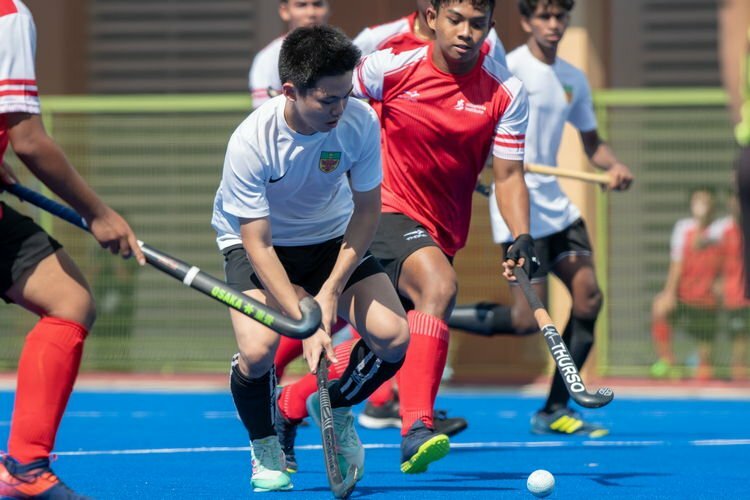 Bedok Reservoir, Wednesday, April 10, 2019 — Dominating both the Boys’ and Girls’ A Division races, Hwa Chong Institution (HCI) successfully defended their double team victory in addition to picking up the individual gold medals in both categories, a feat they failed to accomplish last year. HCI won the A Division Boys’ team championship with 19 points (1st, 2nd, 3rd, 13th) and the Girls’ one with 12 points (1st, 2nd, 4th, 5th), led by team captains Ethan Yan and Vera Wah who both clinched their first ever individual victories in their final year of competing for the school. Team scores are computed by adding up the positions of each team’s top four runners, with a lower score translating to a higher ranking. The best possible score is 10 points. 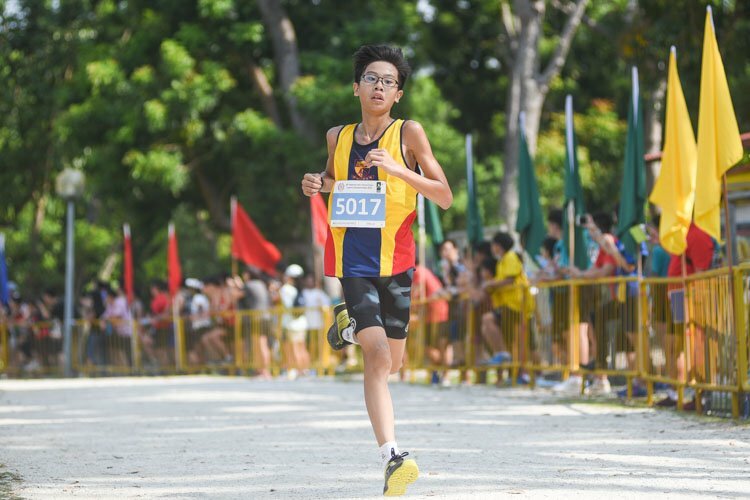 In the A Division Boys’ race, HCI’s top runners, Ethan and Joshua Rajendran, burst immediately to the front, leading the pack to a sub-3:10 first kilometre for the 4.8km race. Ethan eventually pulled away to clinch his first ever individual title at the National Schools Cross Country Championships. “Joshua and I went to the front from the start; we just wanted to run the pace we run regularly in training and push ourselves as far as possible,” said Ethan, who along with Joshua finished first and third respectively at the recent National Schools Track and Field 5000m final. 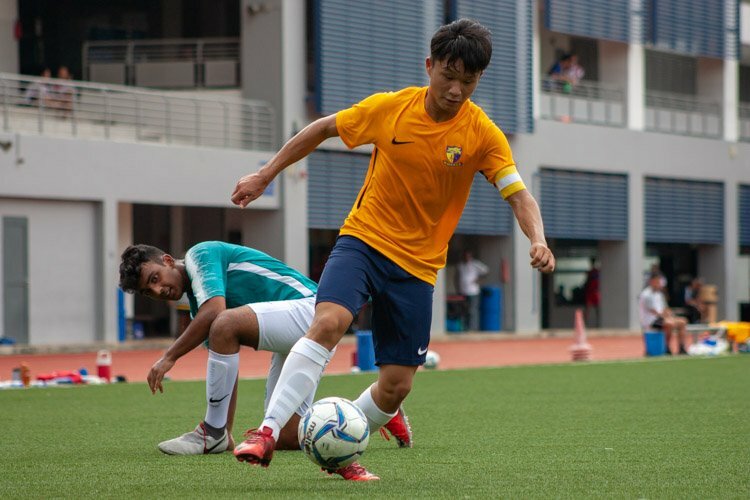 Meanwhile, defending champion Ruben Loganathan of Anderson-Serangoon Junior College failed to place within the top 20, being burnt by the fast starting pace. 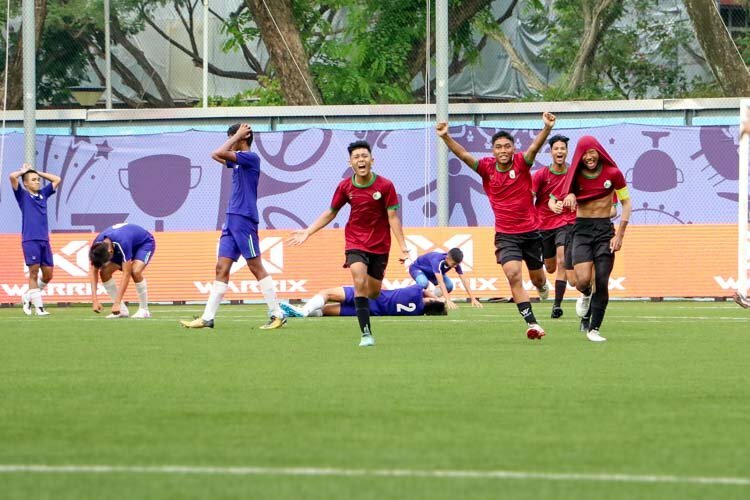 Raffles Institution (RI)’s Nedunchezian Selvageethan, who attempted to follow the leading runners, also struggled in the second half of the race, with RI’s Armand Mohan and HCI’s Dave Tung — both of whom had hung back earlier — overtaking him in the last 2km of the race. Midway through the race, Ethan pulled away from Joshua, eventually building his lead to over 20 seconds. His finishing time of 15:59.1 makes him the only runner in the field to go below 16 minutes. “I actually thought Joshua was still close behind me; I didn’t know the gap was this big,” said Ethan. Ethan’s teammates Joshua and Dave placed behind him in a 1-2-3 HCI finish, while HCI’s final scorer, George Lai, finished 13th. 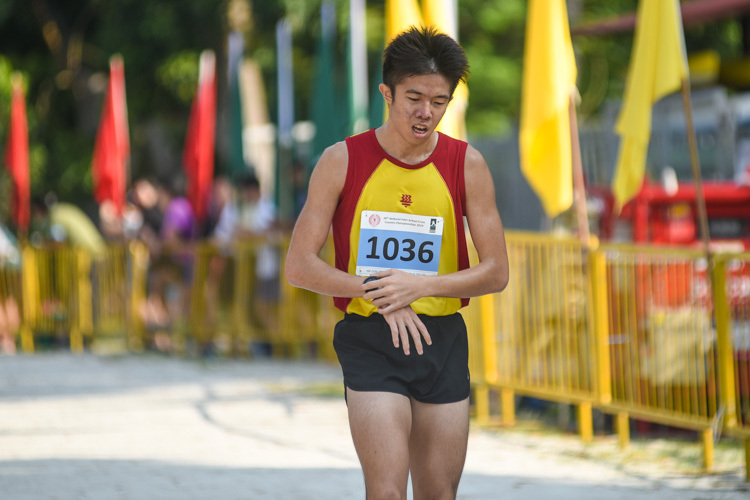 Dave and Ethan had finished second and fourth respectively in last year’s race; while for Joshua this is his third consecutive second-placing at the annual National Schools Cross Country Championships, having lost during his B Division years to RI’s Armand in 2017 and Chai Jiacheng in 2018, and now Ethan. 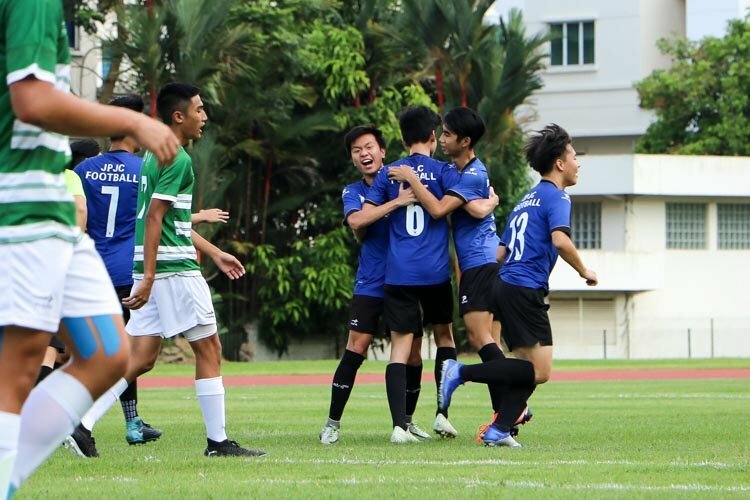 “Our team wanted to do our best to score the best points for our team. Everyone has been working really hard for the past year, so it is good to see that our effort has paid off. 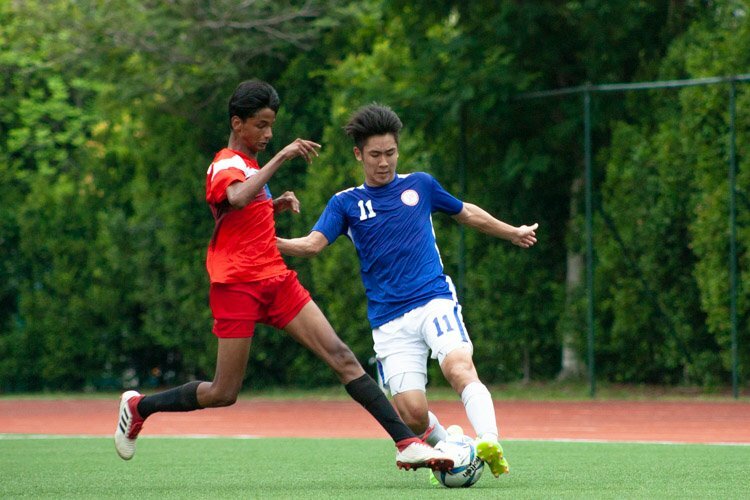 Our coach, Mr Steven Quek, played a big role in guiding us and coaching us to where we are now,” Ethan added. RI’s Armand and Selva — having beaten Ethan and Dave in the 1500m final two weeks ago — had to settle for fourth and fifth this time in face of the HCI runners’ stronger endurance. 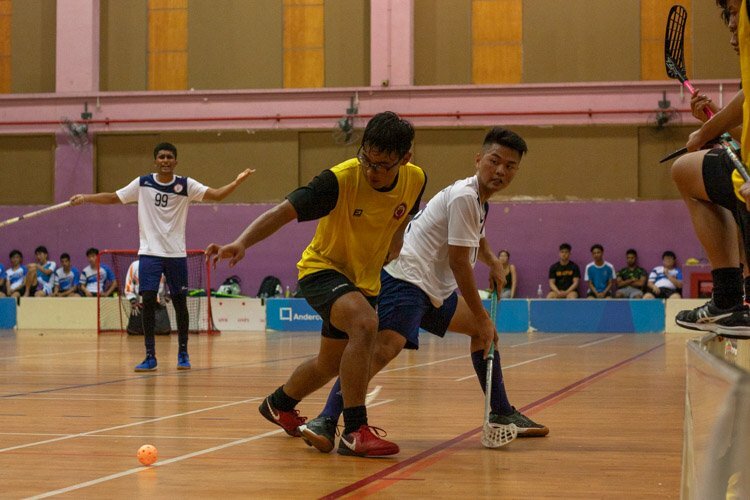 Their teammate Joshua Yong followed up in sixth place, with Tan Jian Wei in 10th place to complete the scoring. “Honestly I’m pretty happy with the team’s performance. I think that HCI this year was genuinely a better team with very strong runners. 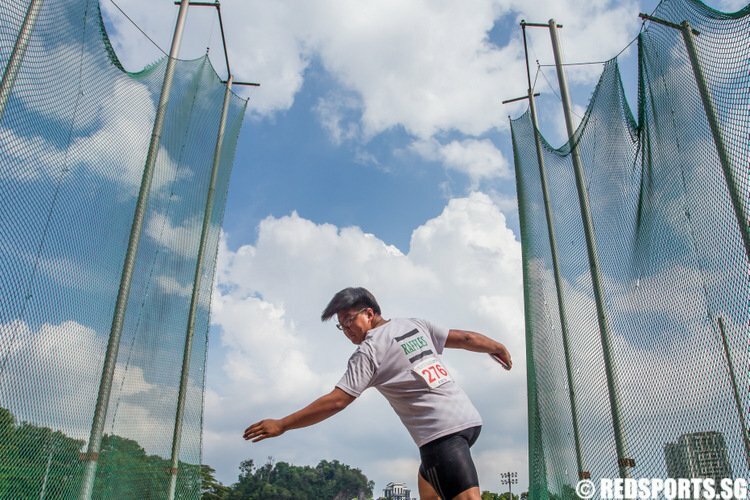 It’s really great to see that this year’s distance batch is so strong in all the races and I hope that this could help elevate distance running in Singapore and I hope that this batch will be the one to really push the envelope on what’s to come,” said Armand. Regarding his individual fourth position, Armand expressed no regrets either, having experienced multiple setbacks this season. “This cross country season wasn’t the ideal one as I was unable to fully train for a couple months last year, so I didn’t really have the mileage required to perform in the longer races. Nonetheless, over the course of this season I tried to be positive and used good strategy to run races, rather than banking on fitness I didn’t have,” said Armand. 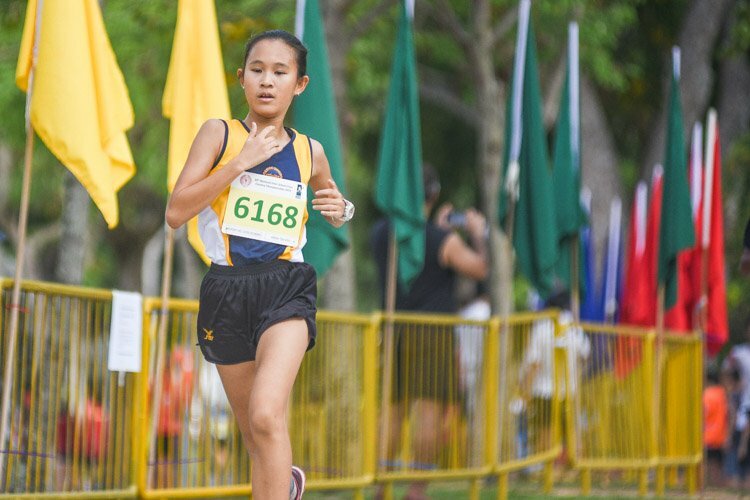 In the A Division Girls’ race, which covered a distance of 3.8km, HCI’s Vera Wah pulled off an even more dominant victory by finishing 40 seconds ahead of her nearest competitor, teammate Clarice Lau. Vera clocked 15:21.1 against Clarice’s 16:02.8. “Clarice and I started the race running together at the front. Near the mid-point I started to speed up and ended up being alone for the second half of the race,” said Vera. “I was completely unaware of what was happening behind me as I was just focusing on putting in my best effort, so I was surprised when I learnt, after the race, how big the gap ended up being,” she added. Meanwhile Clarice — who recently achieved a double gold at the National Schools Track and Field meet in the 3000m and 2000m steeplechase — finished second, with teammates Jolene Tan in fourth and Toh Pei Xuan in fifth. This gave the team a total of 12 points, just two short of a perfect 10. The bronze medalist was Caylee Chua of Anglo-Chinese Junior College, who clocked a timing of 16:13.2. For Vera, her win not only ensured that she has never finished outside the top three since her first National Schools Cross Country in 2015 as a Secondary Two student in Cedar Girls’, it also gave her the one colour that has eluded her all these years: gold. Last year, Vera finished a minute behind RI’s Toh Ting Xuan, who has since graduated. In her B Division years, Vera clinched bronze in 2017 and silver in 2016. In the C Division, she finished second behind Caylee in 2015. “I’m very happy that all the hard work over the years paid off for my last ever National Schools Cross Country. Being able to win the team title alongside the individual one makes this season much more meaningful to me as our team worked very hard for it,” said Vera. 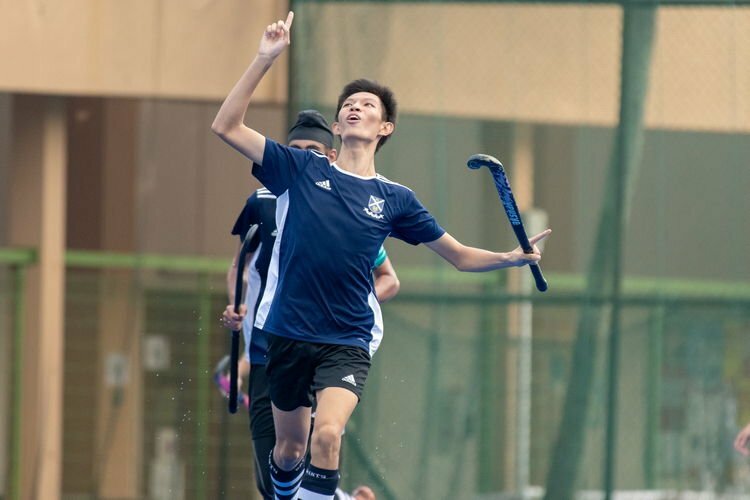 While dominating the A Division races, HCI faced more obstacles in the B and C Division Boys’ categories, failing to defend their clean sweep of all four (A, B and C Boys and A Girls) team titles from last year.